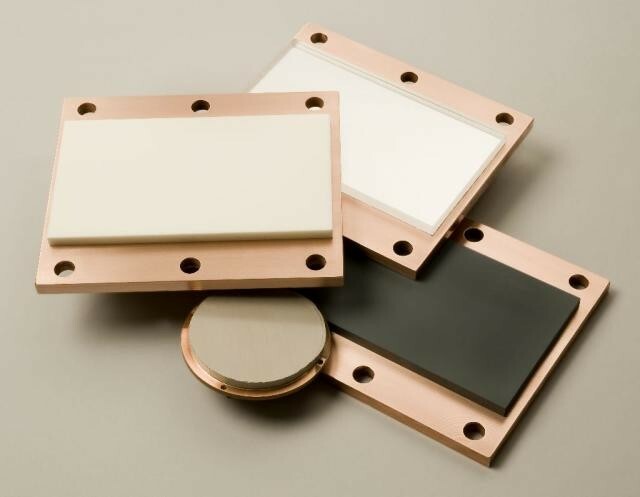 NiCrSi high-resistance sputtering targets are mainly used to prepare metal film resistors and metal oxide film high resistance resistors, integrated circuit wiring and sensors. These devices are very important in electronic computers, communication instruments, and electronic switches. Due to its excellent performance, resistors made from NiCrSi high-resistance sputtering targets have gradually become a new generation of universal resistors that replace carbon film resistors. Here are two methods for preparing NiCrSi high-resistance sputtering targets. Raw materials: chromium and nickel with an elemental purity greater than 99.5%; silicon with an elemental purity greater than 99.9%; rare earth metals with a mixture purity greater than 98%. Step 1: Smelt Ni, Cr and a small amount of Si into an intermediate NiCrSi alloy. The voltage during the melting of the electric arc furnace is 20V, the current is 500~600A, and the time is 2~5min. Step 2: Place the prepared intermediate NiCrSi alloy was in the bottom of the feeder in a vacuum induction melting furnace. Add the refractory Si material after the intermediate alloy is melted. The vacuum degree during vacuum induction melting is 2 × 10 -2 torr, the power is 35 kW, and the time is 1 h.
Step 3: Refining. The power is 20 kW and the time is 30 min. Step 4: Add the rare earth metal in the refining stage. Stir the solution is uniformly by electromagnetic induction and inject it into the investment mold. After the mold is cooled, release the mold to obtain the casting mold. Step 5: Heat treat and machine the target casting. The heat treatment process has a temperature of 800 ° C and a time of 2 h.
Raw materials: chromium and nickel with an elemental purity greater than 99.5%; silicon with an elemental purity greater than 99.9%; titanium with an elemental purity greater than 99.5%. Step 1: Use a corundum-graphite-magnesia composite intermediate frequency vacuum induction furnace. Place the prepared materials in a corundum crucible and smelt them under a vacuum of 1×10-2 torr. The melting temperature is 1,500 to 1,550 ° C, the time 1 h, the power of the medium frequency induction furnace is 10~40kW, and the voltage and current of the induction coil are 100~400V and 200~380A respectively. Step 2: Set a casting tube in the mold shell and extend the nozzle to the bottom surface of the mold shell. Then bake the mold shell to reach 650-700 ° C for casting. After that, cool the mold shell slowly to 850-800 ° C and kept the temperature for 1 h. Then cool it to the room temperature. To increase the strength of the target, the NiCrSi target requires a copper plate to be soldered on the back side. The shape and size of the copper plate are the same as the target, and the thickness is 1~3mm. The target and the copper plate are welded firmly by indium bonding or elastomeric bonding, and the soldering temperature is 250 to 270 ° C for 4 hours.